Social media is paramount to effective and efficient worldwide business communication. 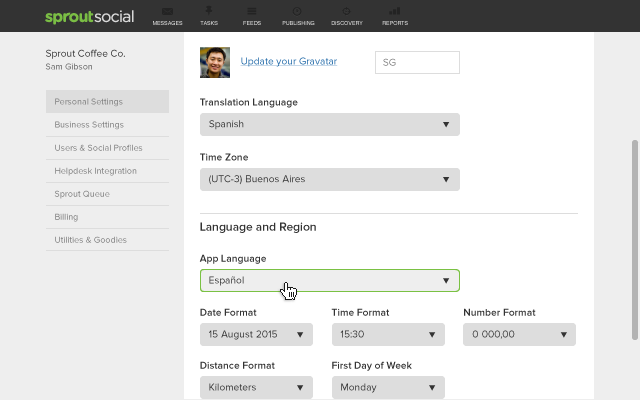 The more open we make that process, the better, which is why we are pleased to announce that Sprout Social is now available in both Spanish and Brazilian Portuguese. As a major player in global communications, the Spanish- and Portuguese-speaking world has quickly become a powerful and prolific force online. 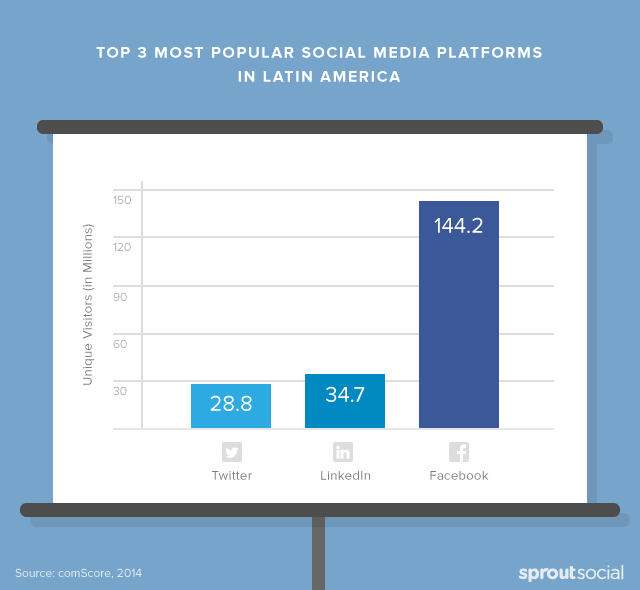 In fact, three out of the five most active countries on social media come from Latin America. 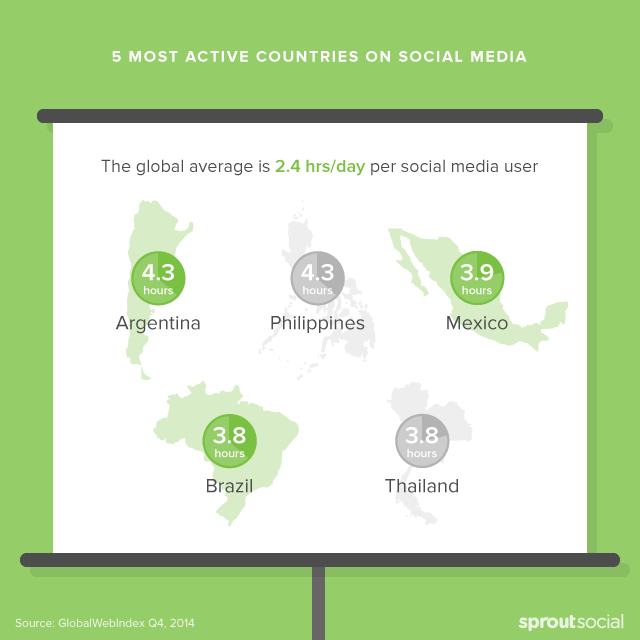 Sprout has made it a priority to bring our world-class platform to these markets in a more meaningful way. Already, we serve more than 15,000 customers in 97 countries around the world. By making our platform even more accessible and user-friendly to people everywhere, brands will be better equipped to discover, respond to and interact with the social conversations that matter most. Go to the Settings menu (gear icon in the upper right-hand corner of the app). Scroll to and select App Language. When a language is selected, the international settings, such as calendar formats and units of measurement, will be updated by default to correspond with the regional setting. You can modify this suggestion any time to suit your personal preferences. You’re able to define these settings at a user level so that individual team members can work in their preferred and most proficient languages and formats. Set your Sprout language today and stay tuned for more to come, as we work to provide the best possible experience and additional language settings for our global customers.